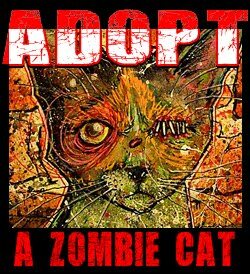 If you didn't know about the auction you aren't alone, there wasn't much fan fare or advertising about it, since I our human no longer has home internet, we can't promote it daily ... so y'all better pay attention to this page if you want to own an original zombie cat painting. The next auction starts tomorrow morning sometime. 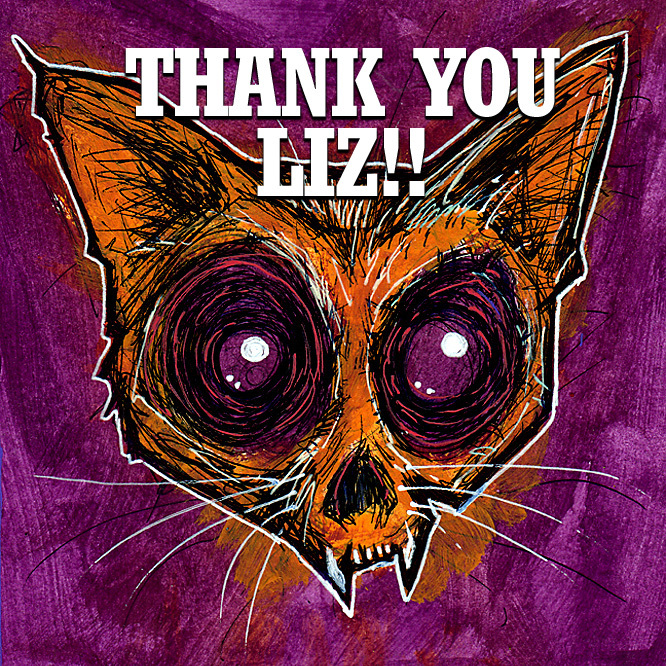 Thanks again Liz ... what do you want to name this undead kitteh? Our Queen named the painting Terrifyingly Cute, but the naming of the zombie cat is now your task. Let us know and we'll make up an adoption certificate for you.